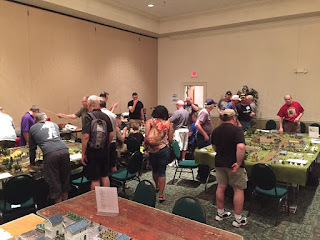 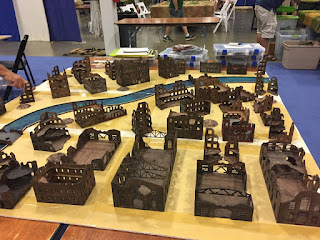 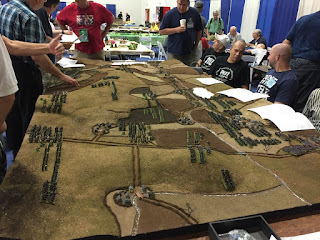 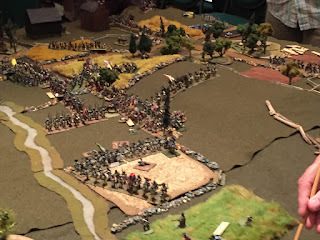 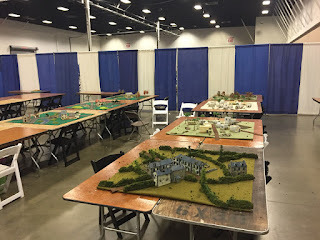 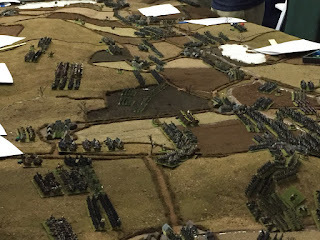 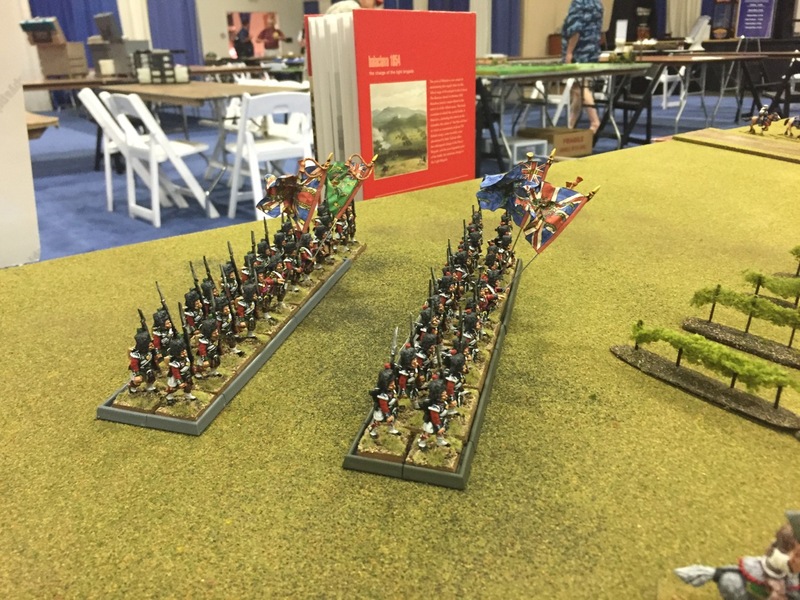 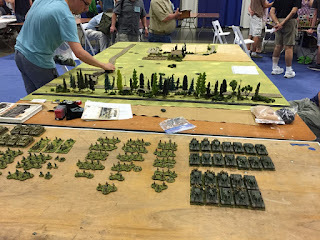 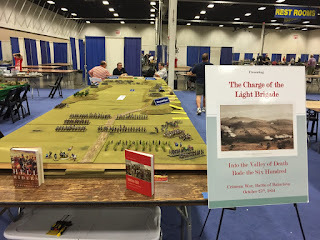 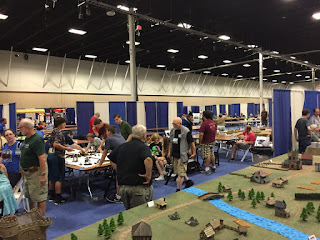 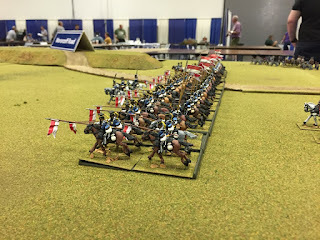 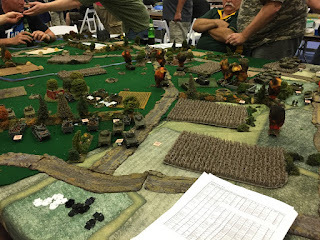 I realize this is just a giant photo dump, but I wanted to provide this for those who weren't lucky enough to attend the largest wargaming convention on the east coast. 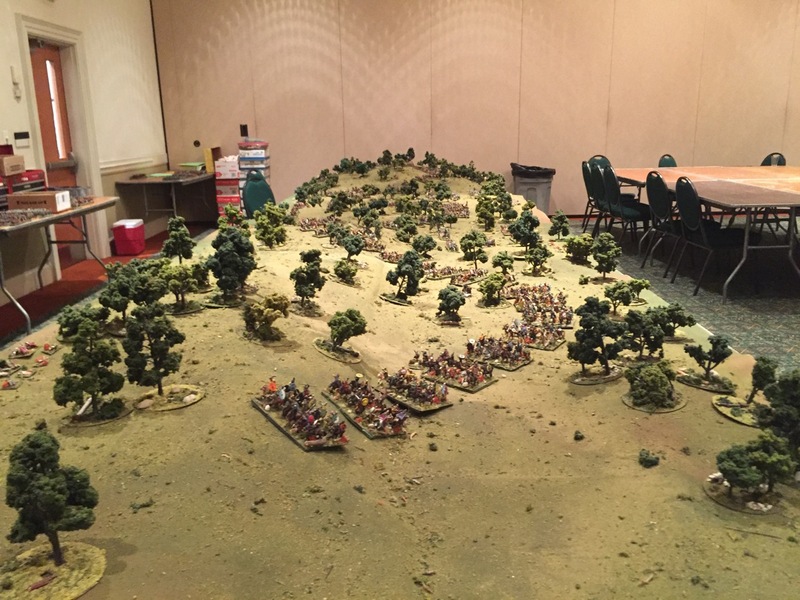 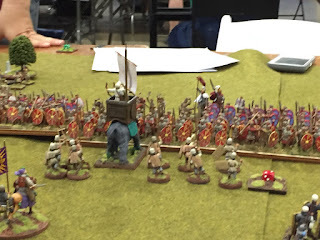 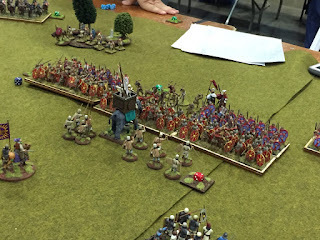 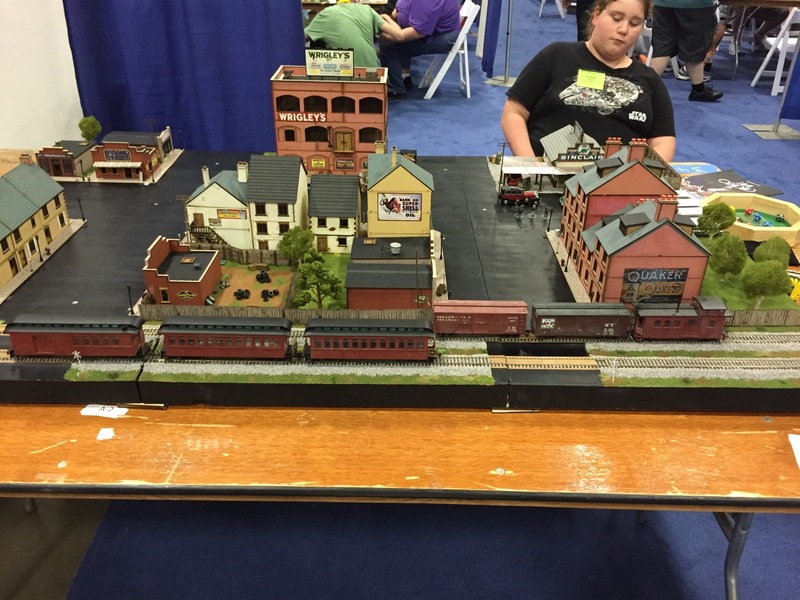 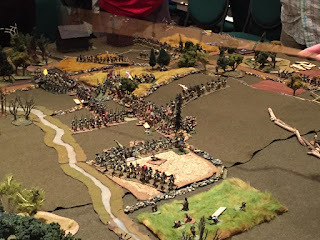 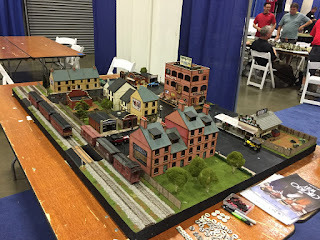 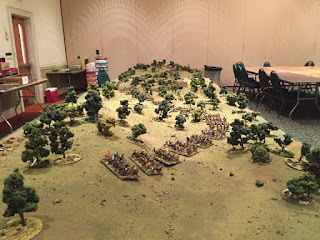 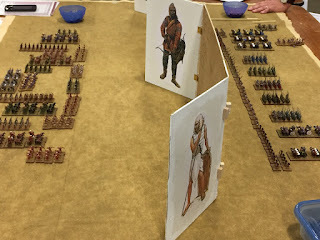 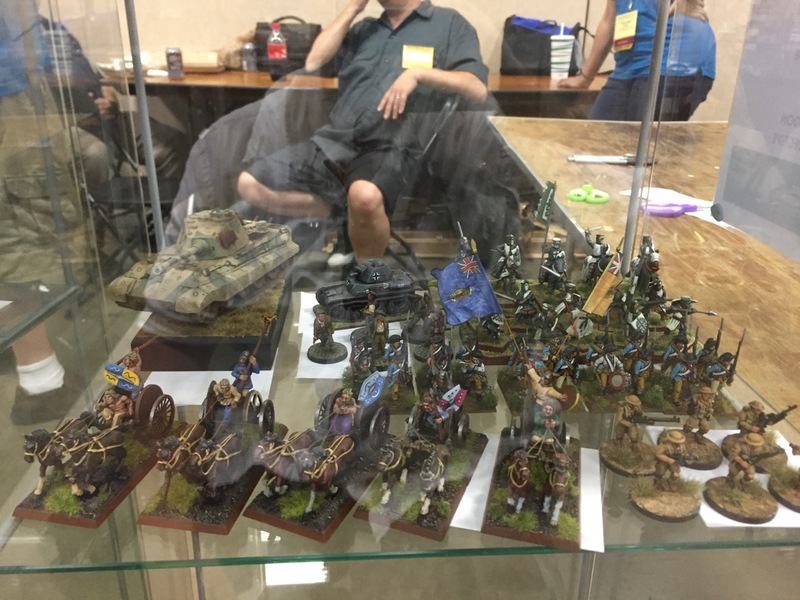 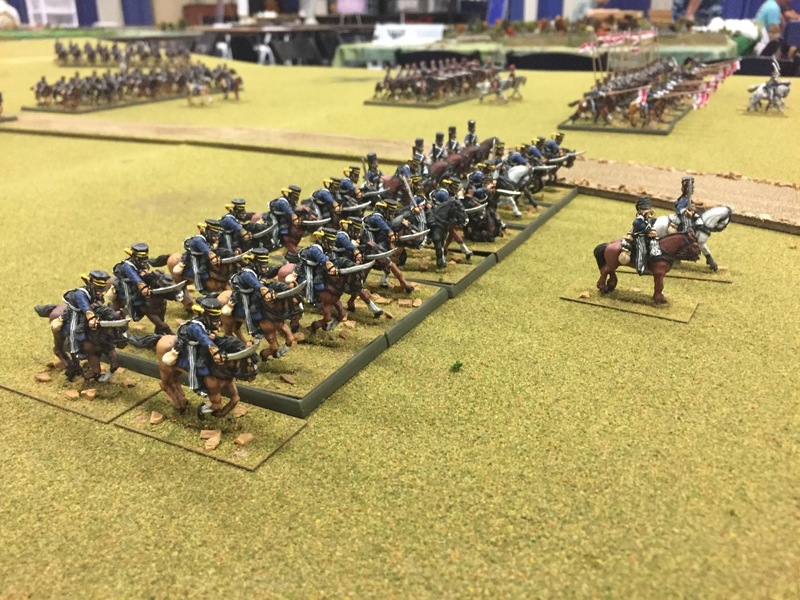 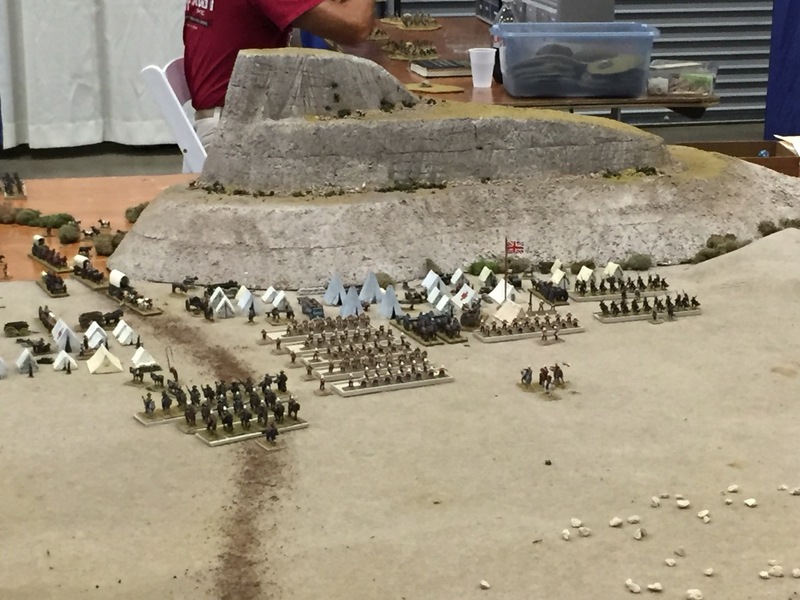 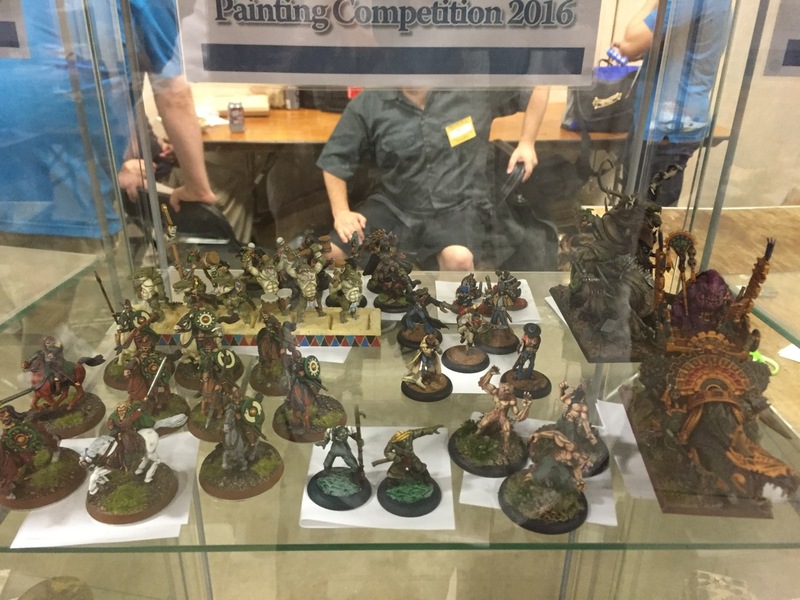 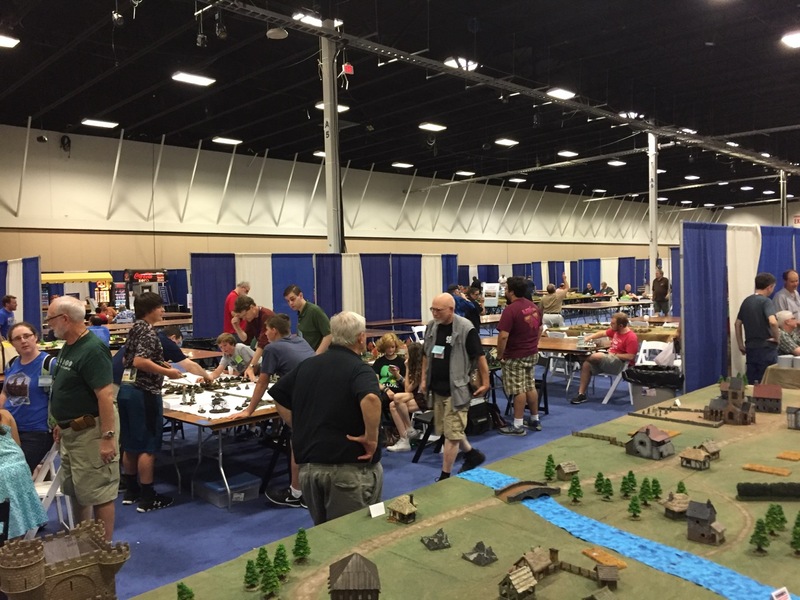 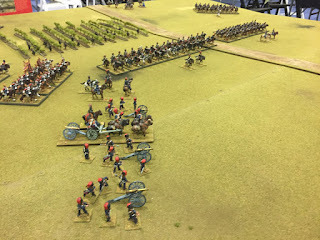 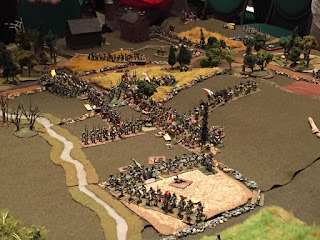 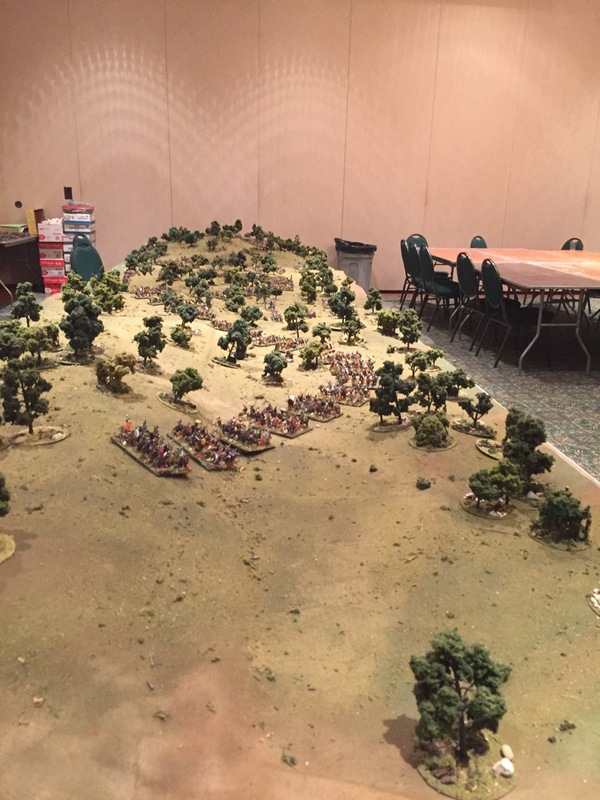 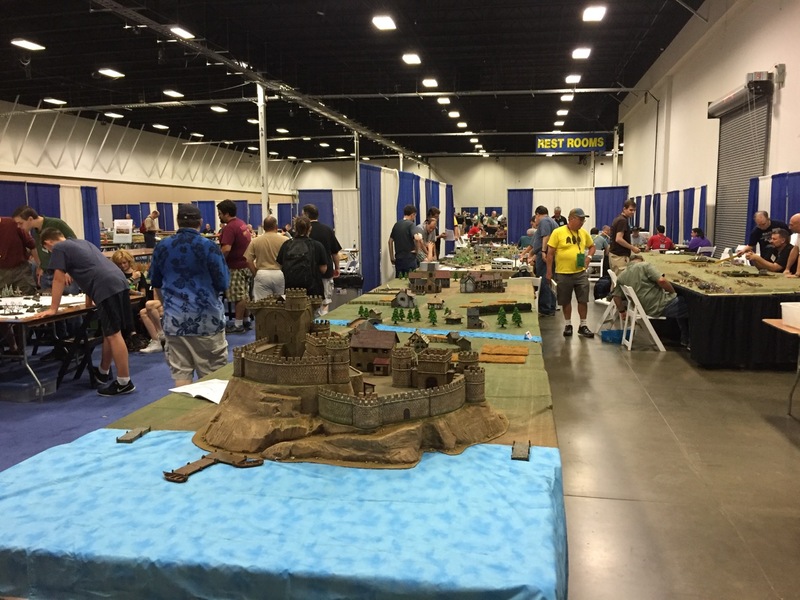 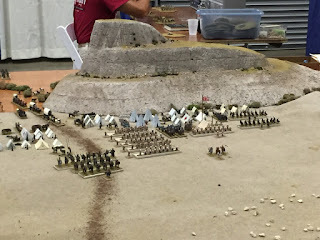 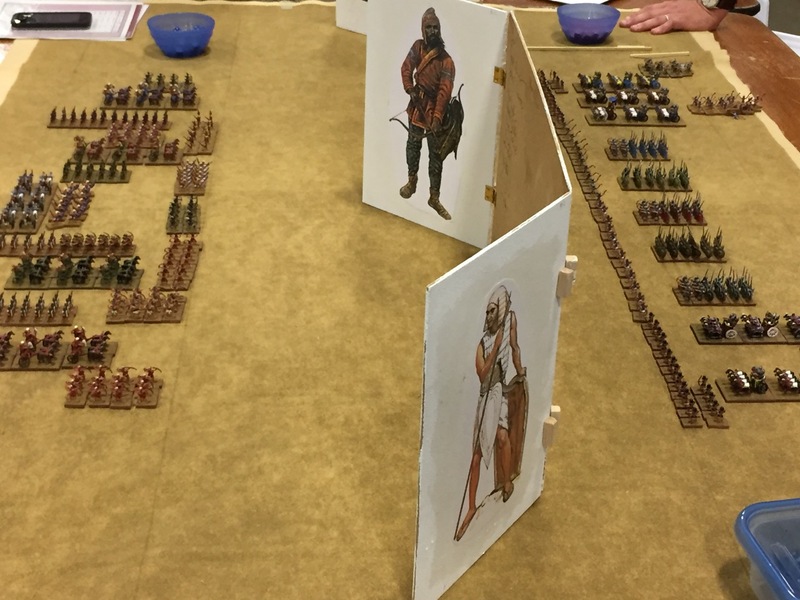 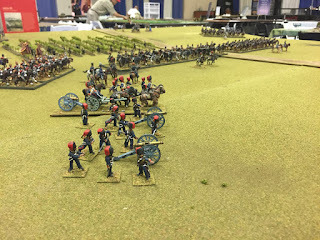 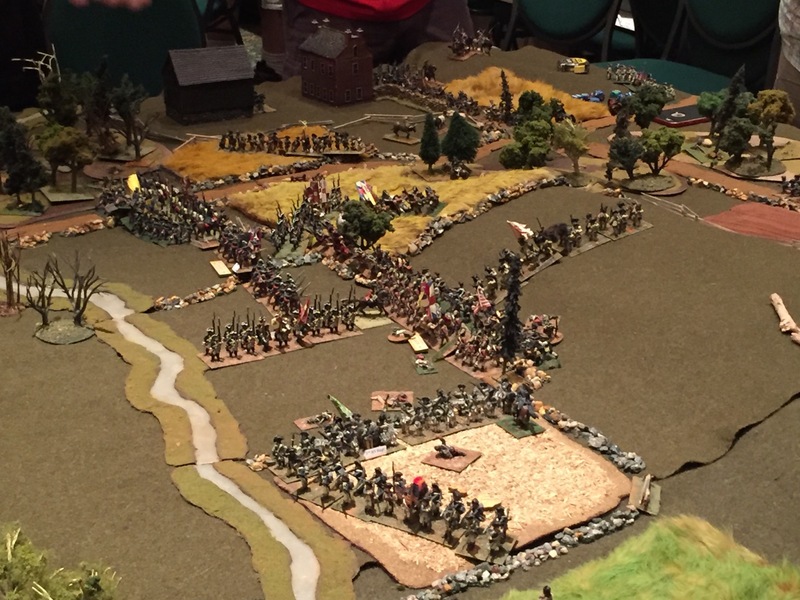 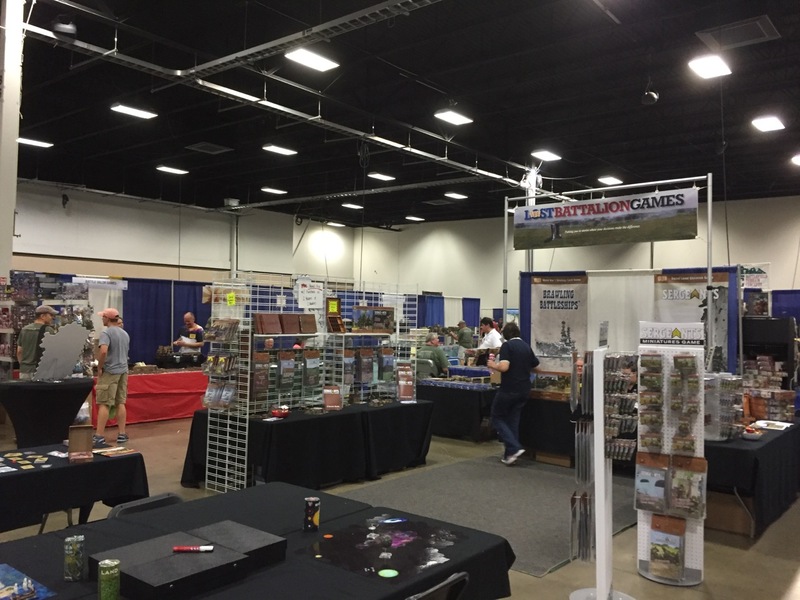 Historicon 2016 was really good this year. 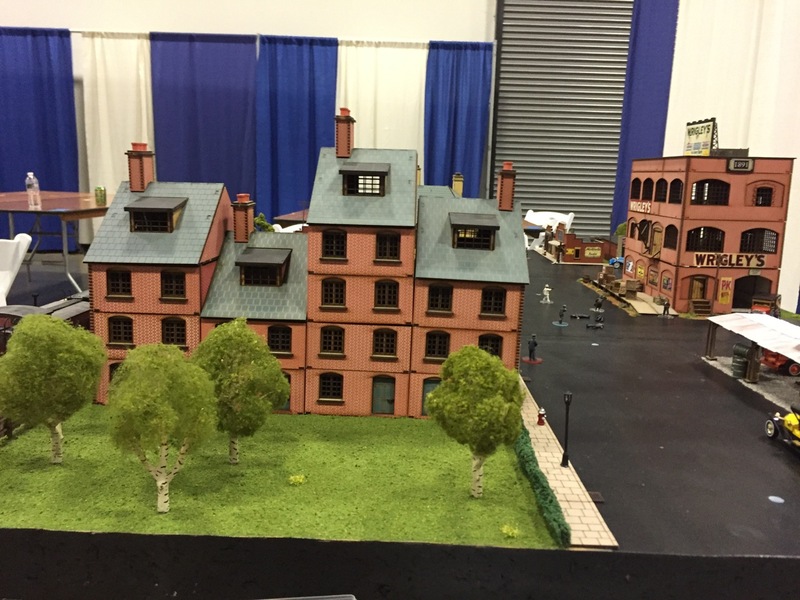 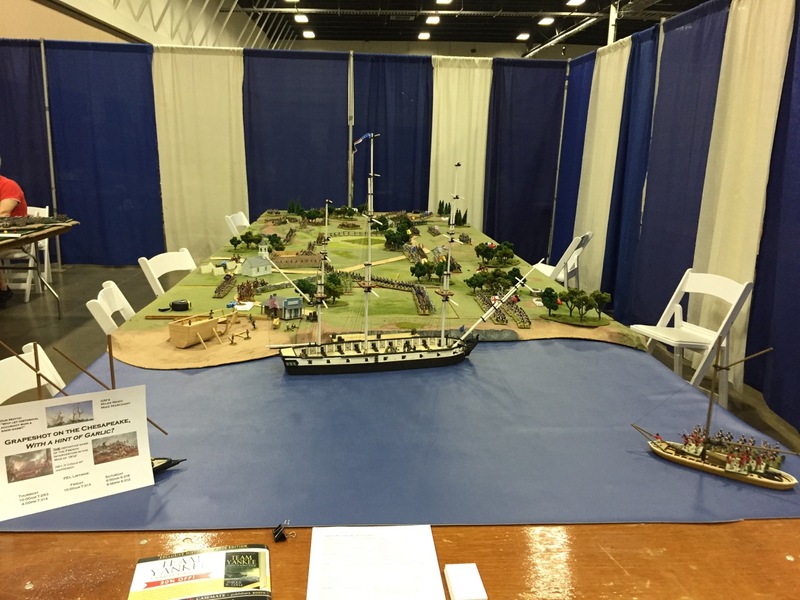 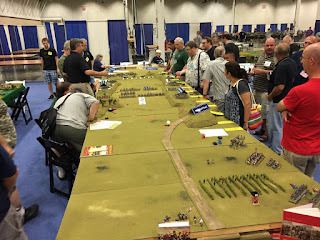 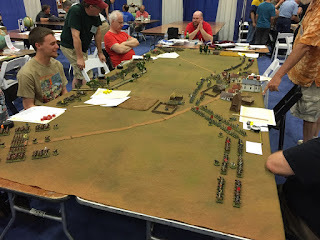 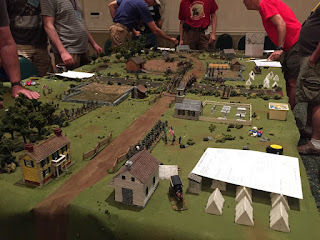 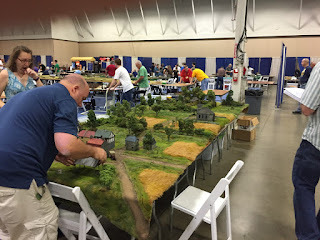 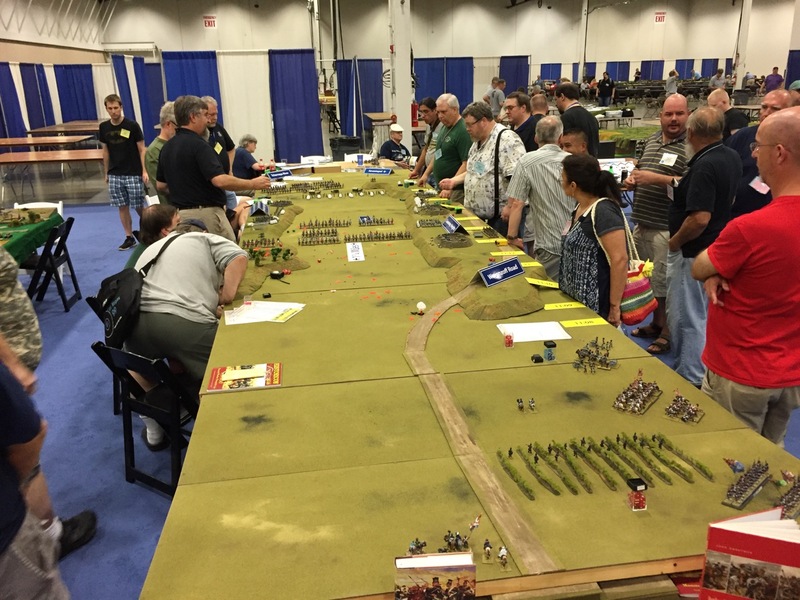 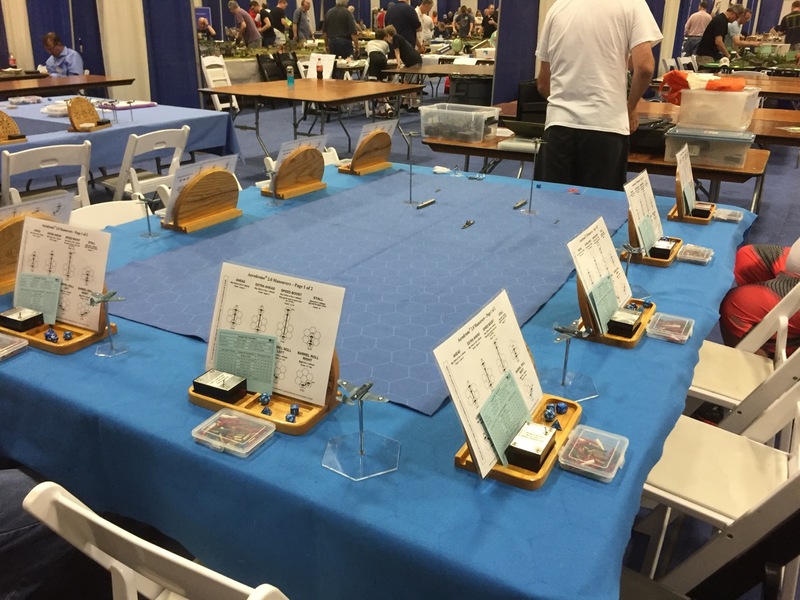 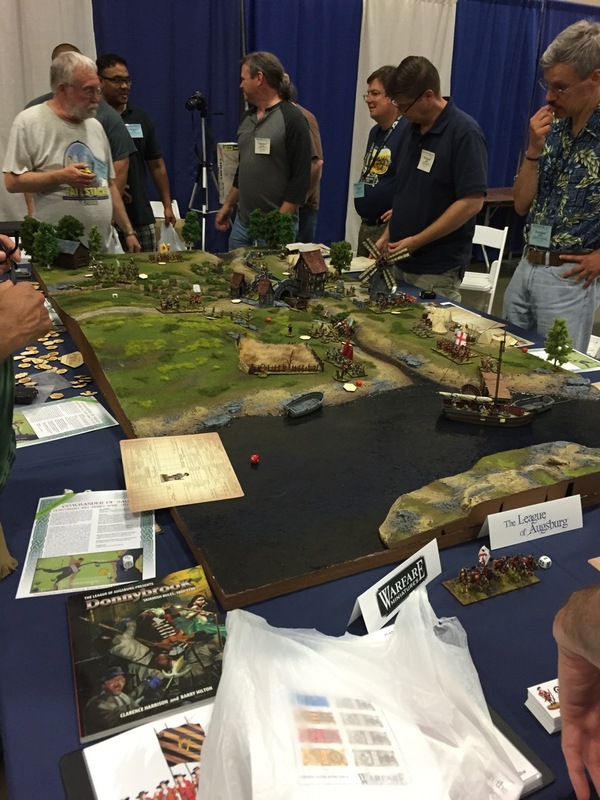 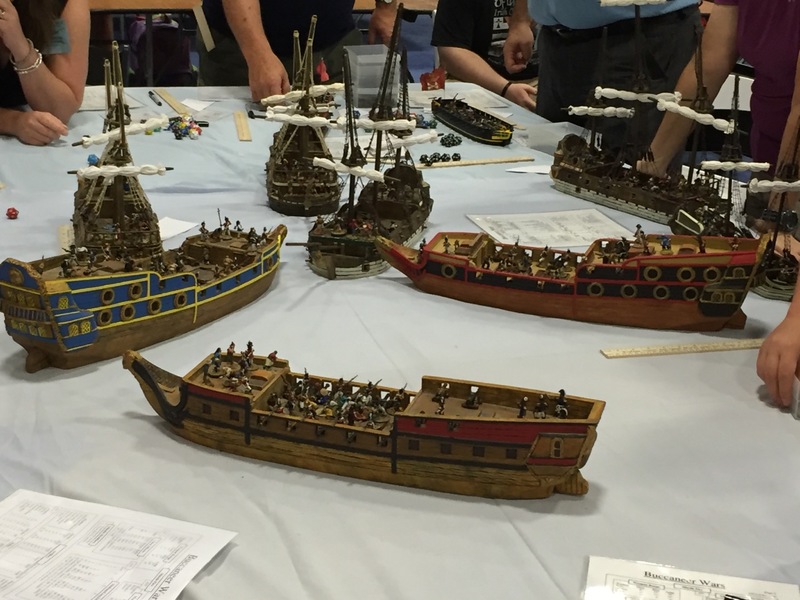 The convention was a little smaller than years past, but had just as many beautiful tables. 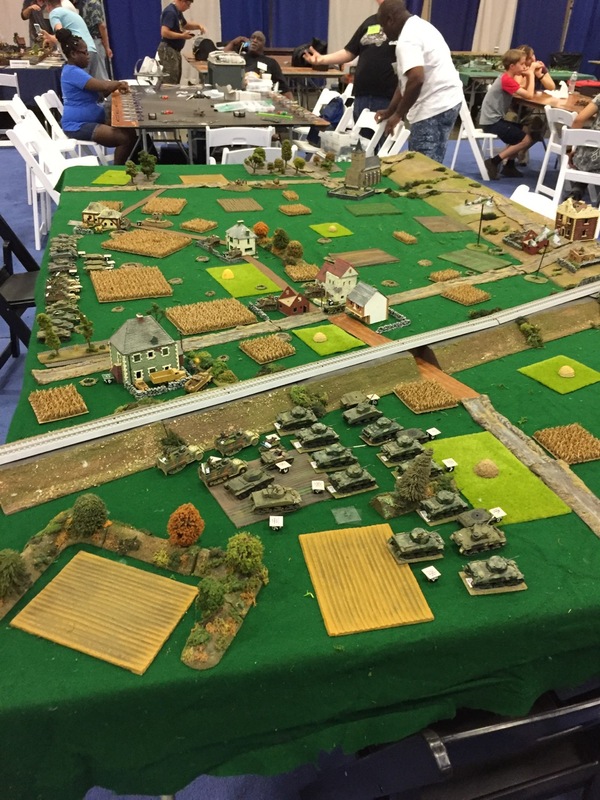 I was especially impressed with the giant normandy table. 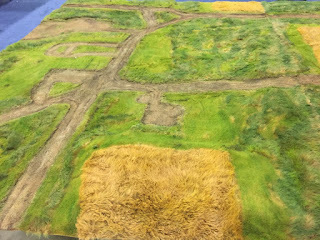 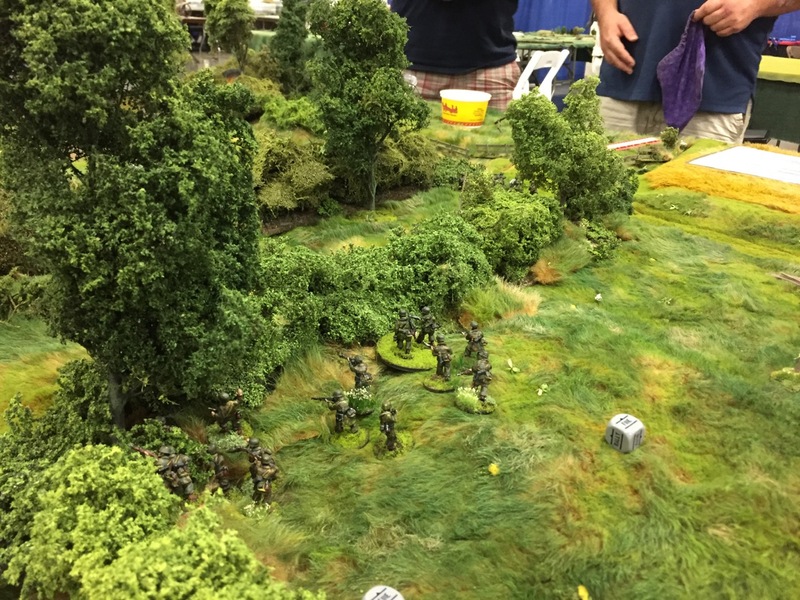 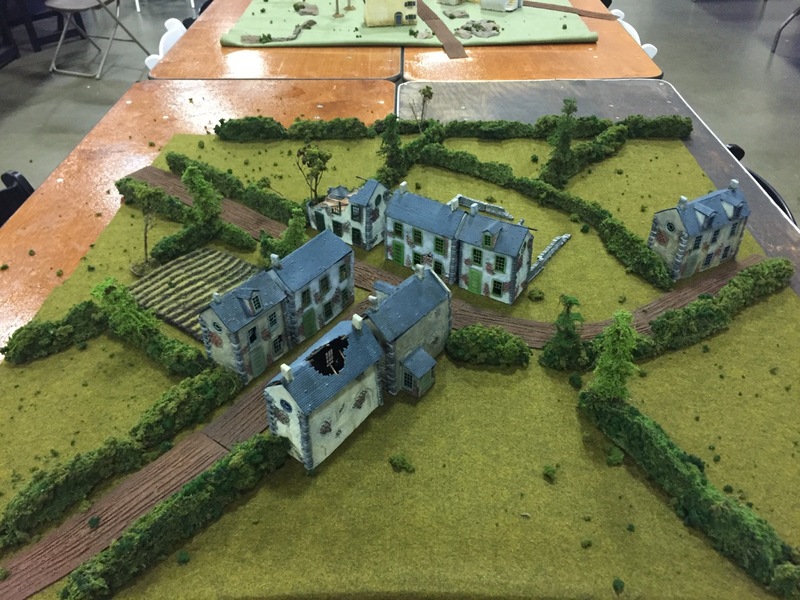 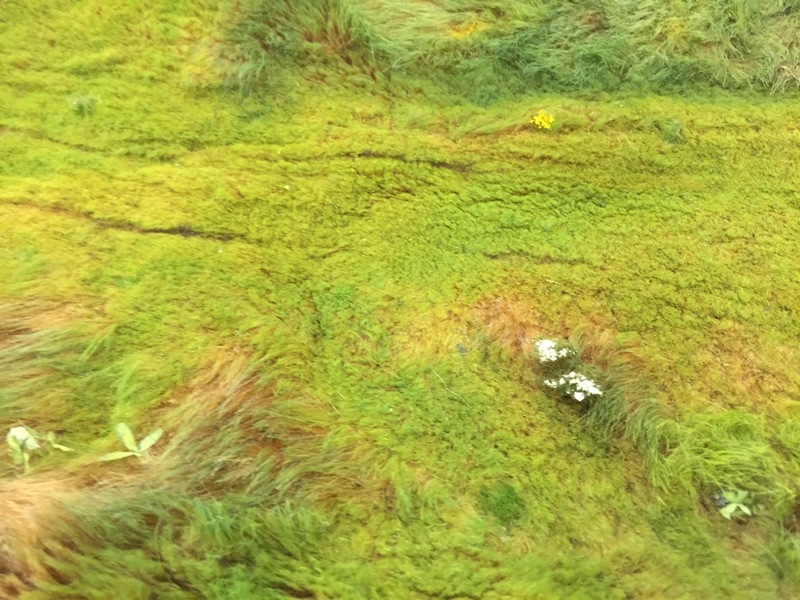 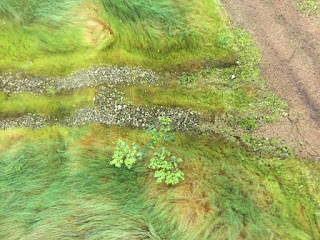 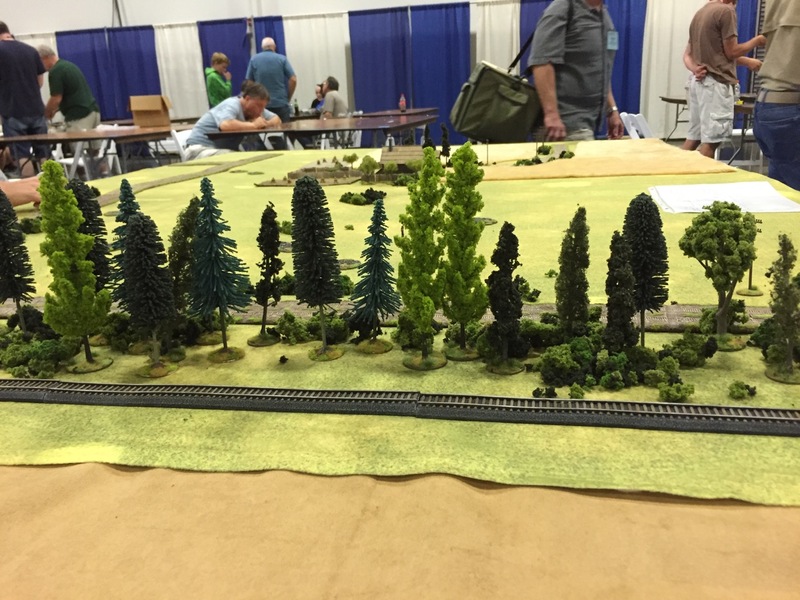 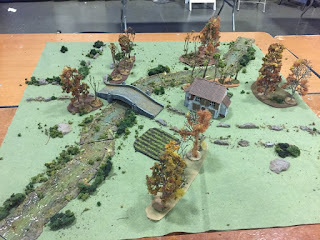 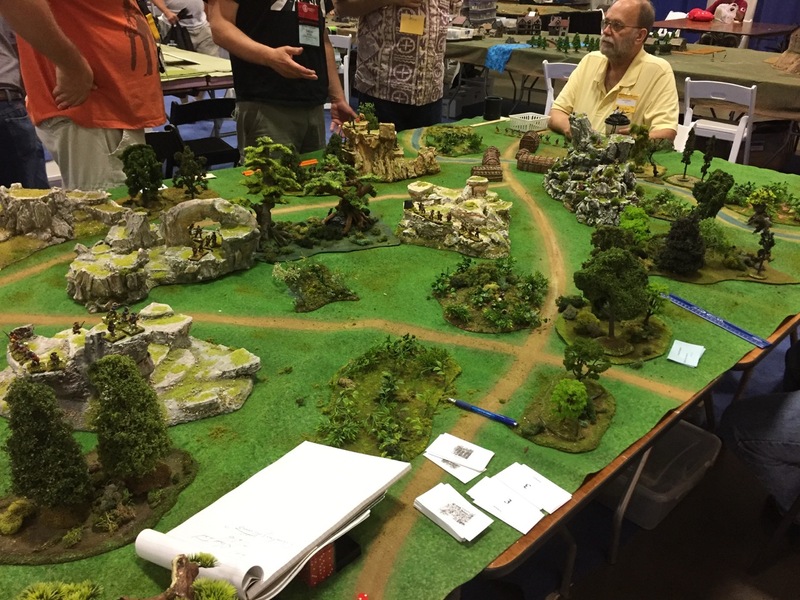 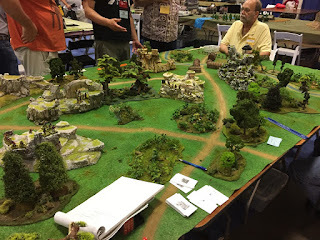 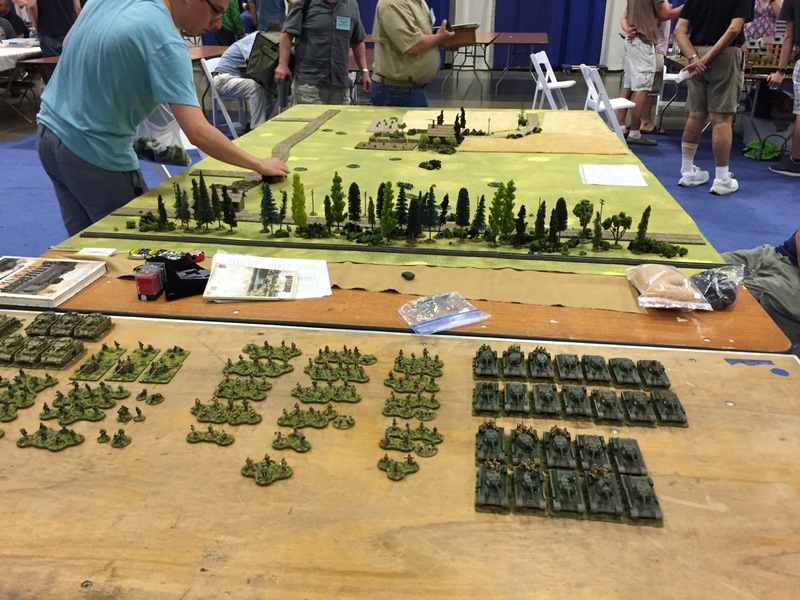 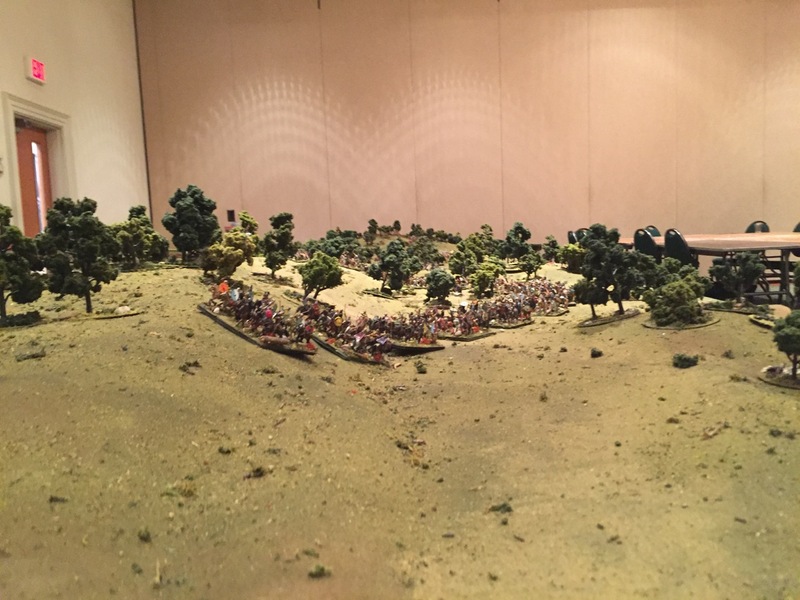 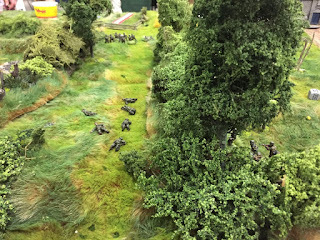 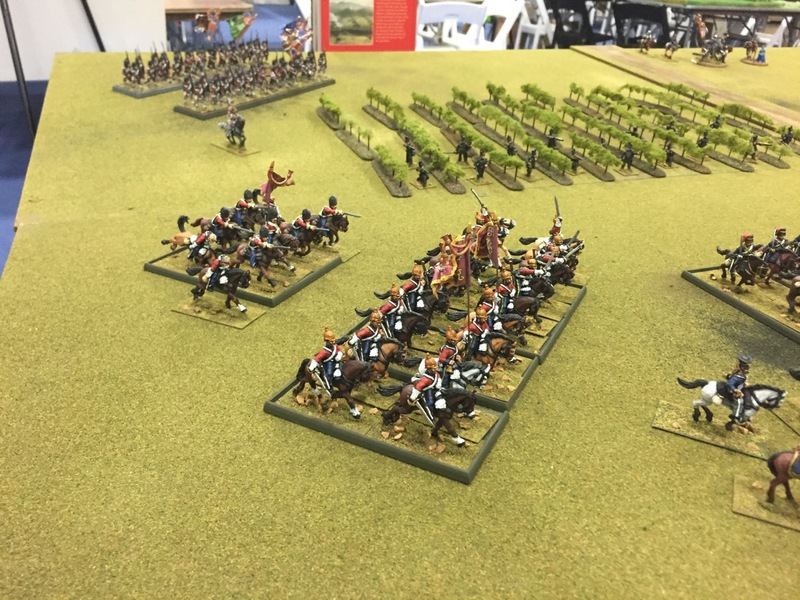 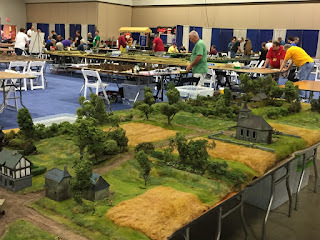 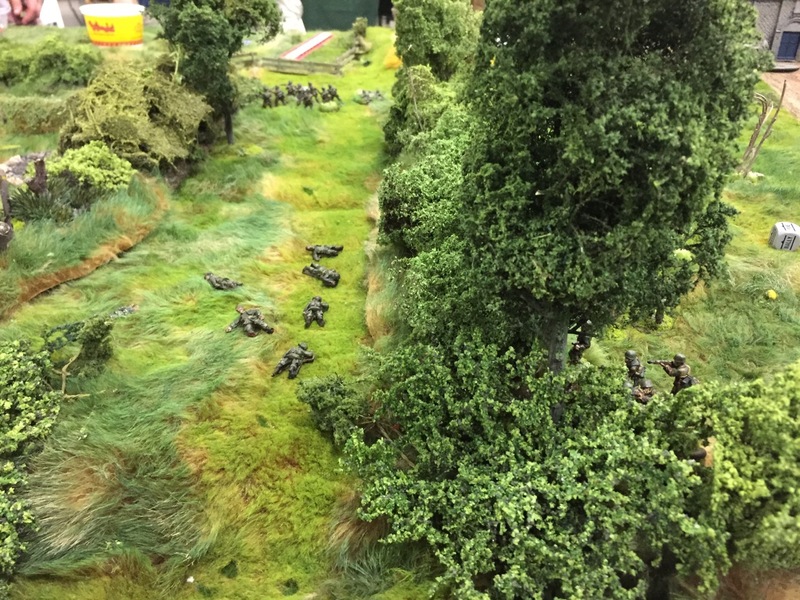 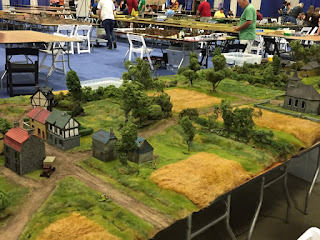 The trees and bocage were just towering over the 20mm and 28mm models. 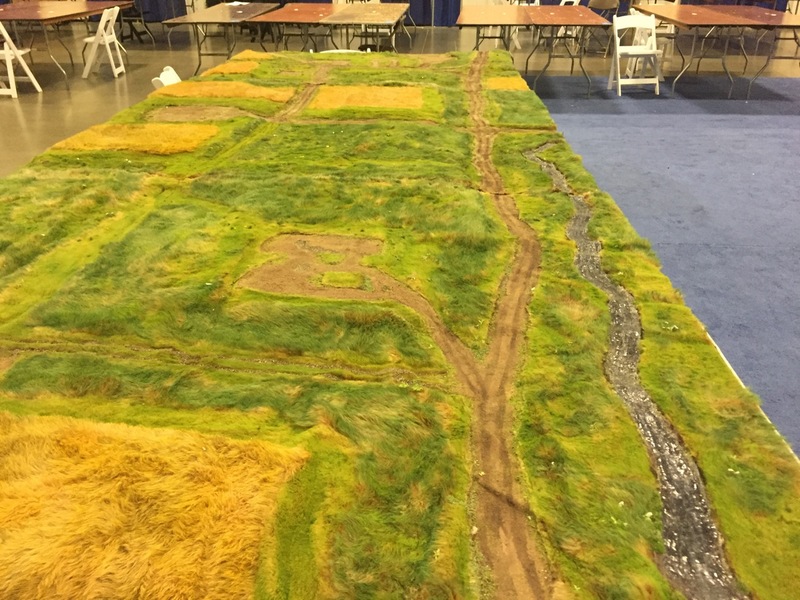 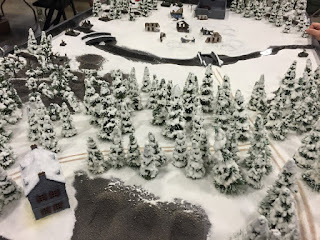 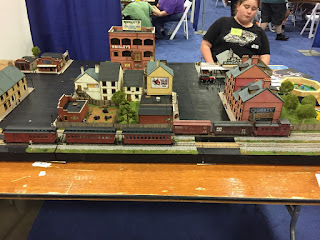 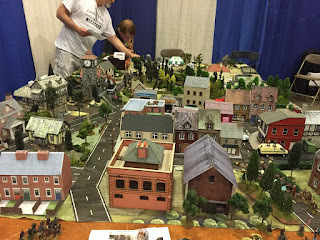 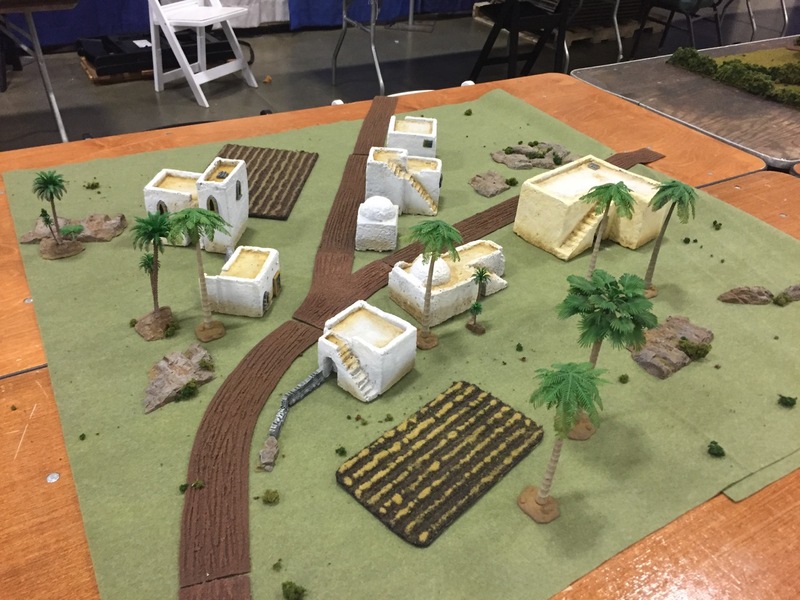 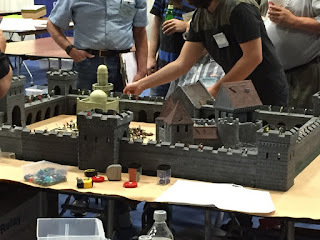 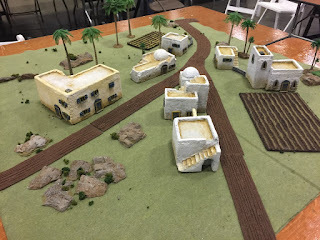 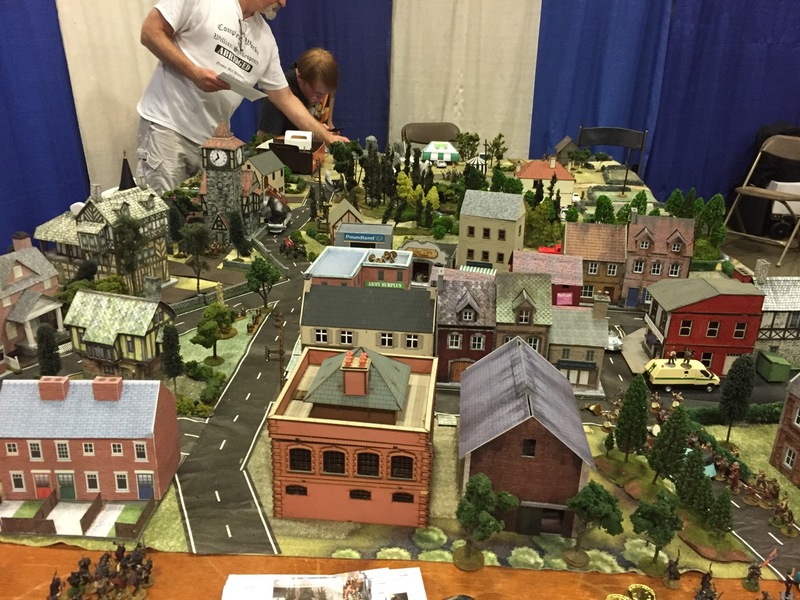 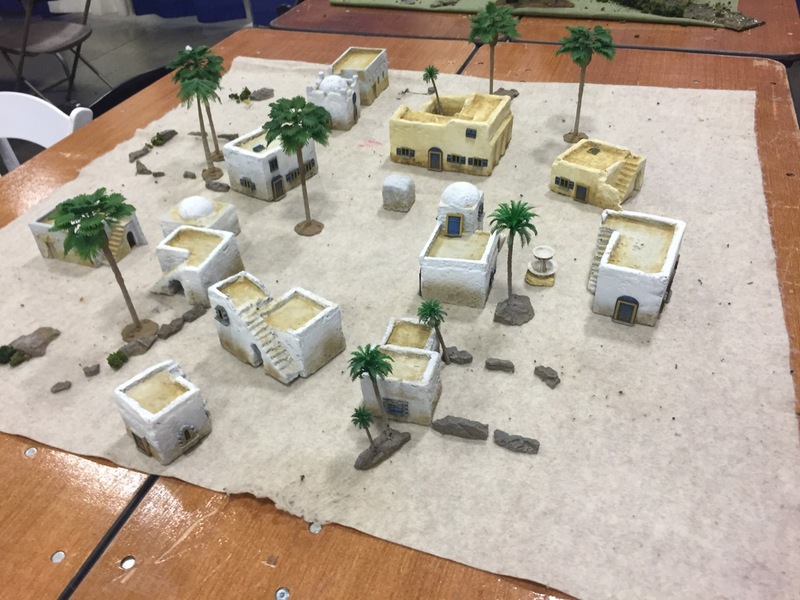 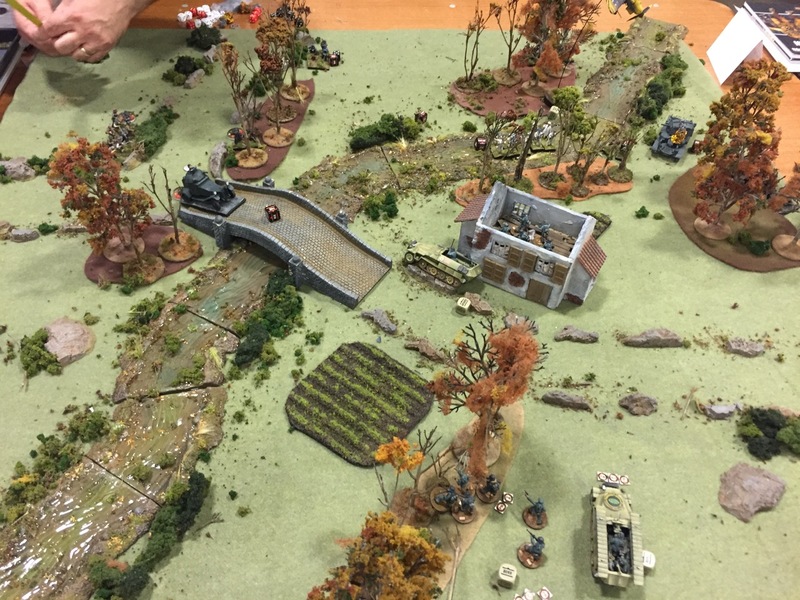 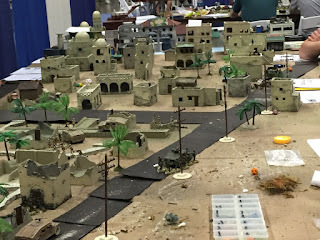 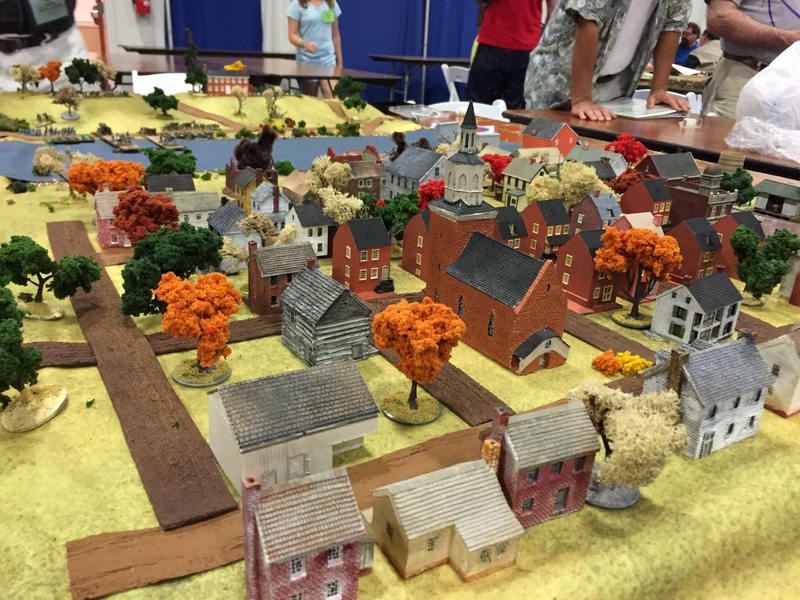 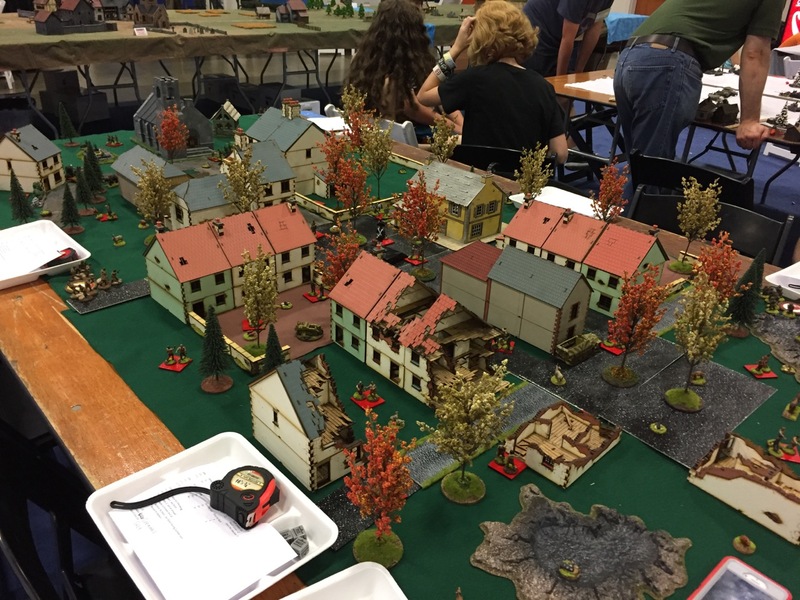 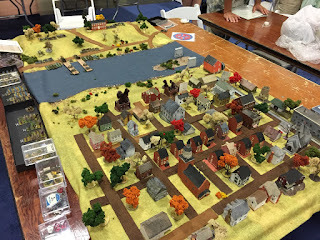 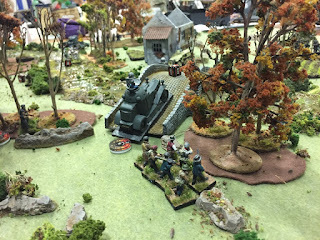 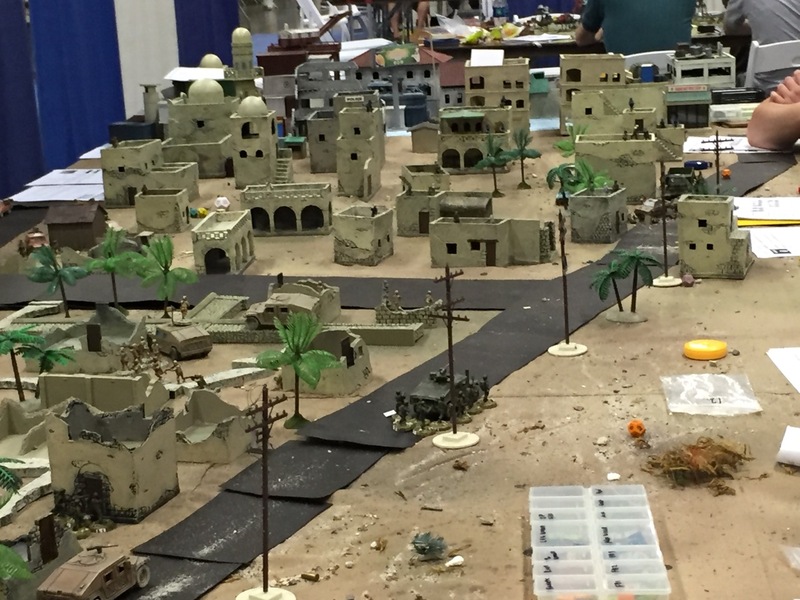 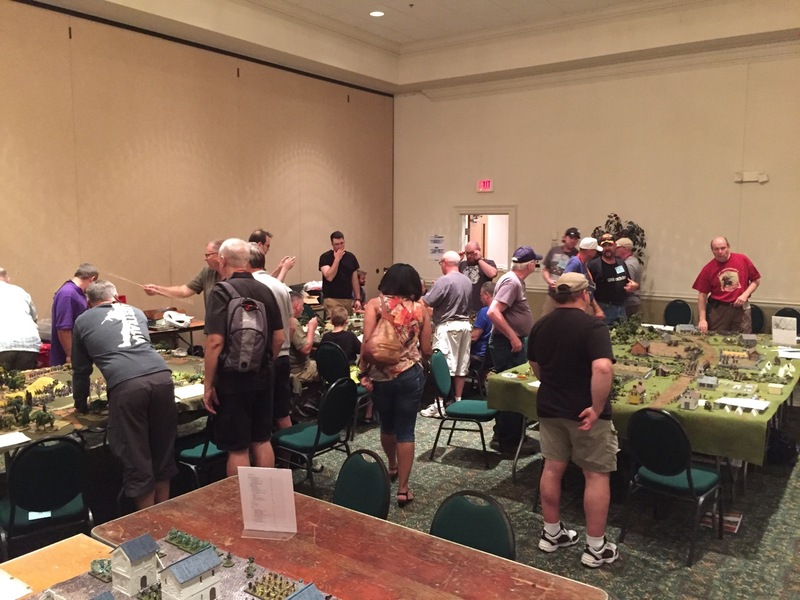 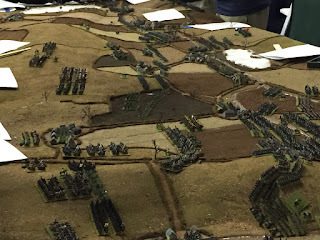 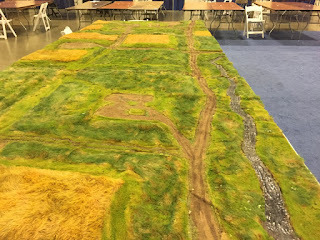 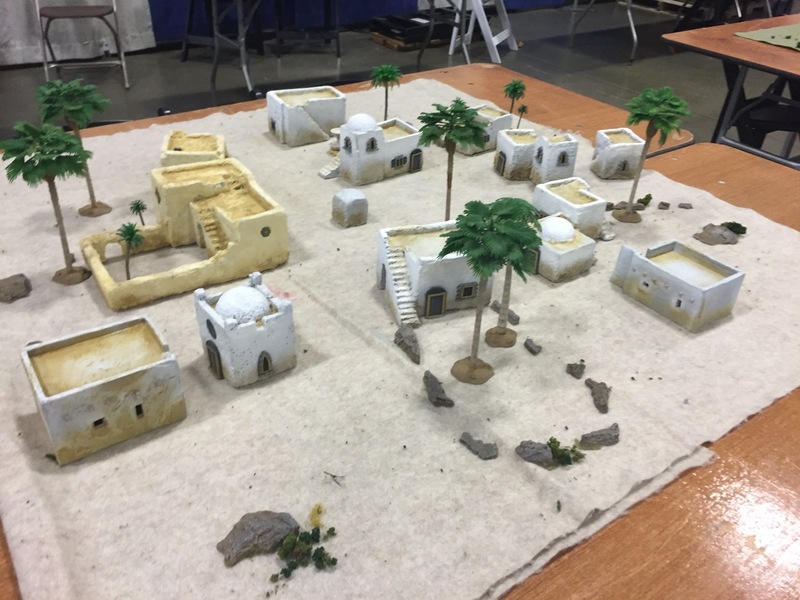 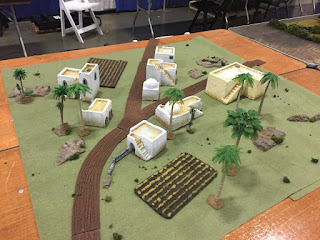 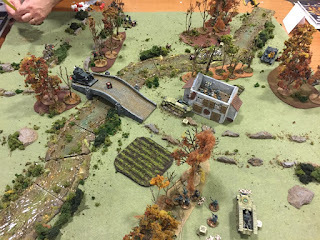 Our gaming club ran only one event, though we did provide terrain for the Bolt Action tournament. As a group we did very well at the painting competition. Richard Rush took home Best of Show for us, which is thrilling. I hope his fusilier ends up in Wargames Illustrated. As a group we learned quite a bit about the new version of Bolt Action. 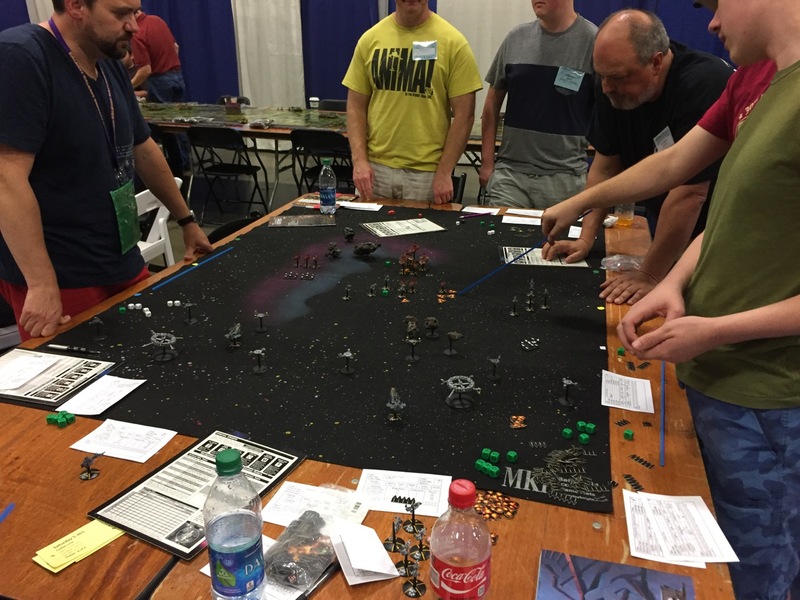 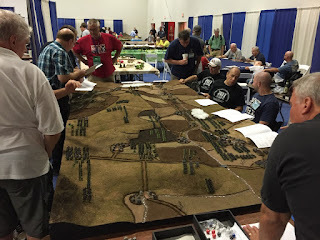 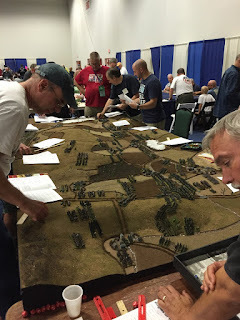 The Warlord guys were great, and even let some folks sit down and read their draft PDF of it. After playing my first game of Chain of Command, I understand some of Warlord's changes. 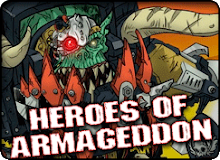 Leaders are going to be really awesome! 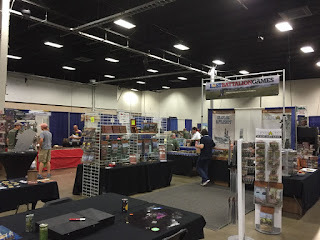 Till next time, happy gaming! 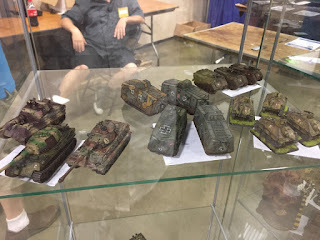 Thanks for the photos, John! 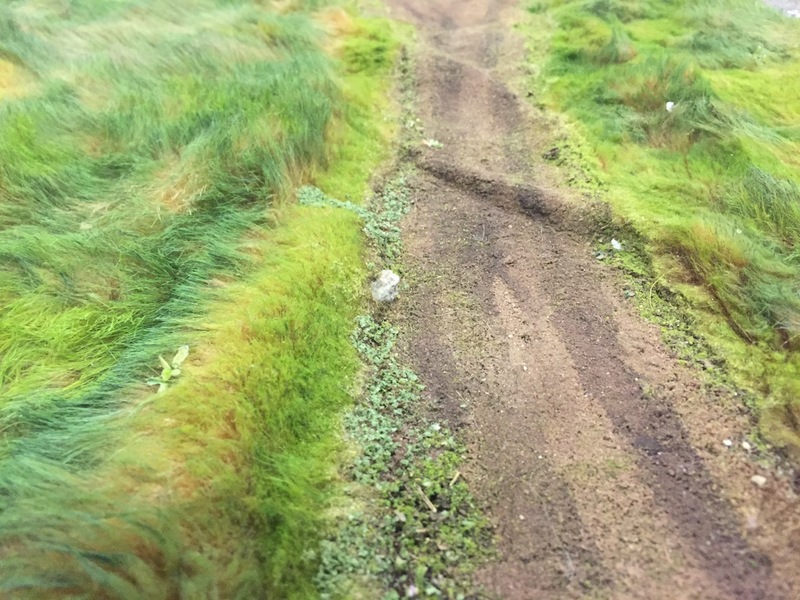 Much appreciated. 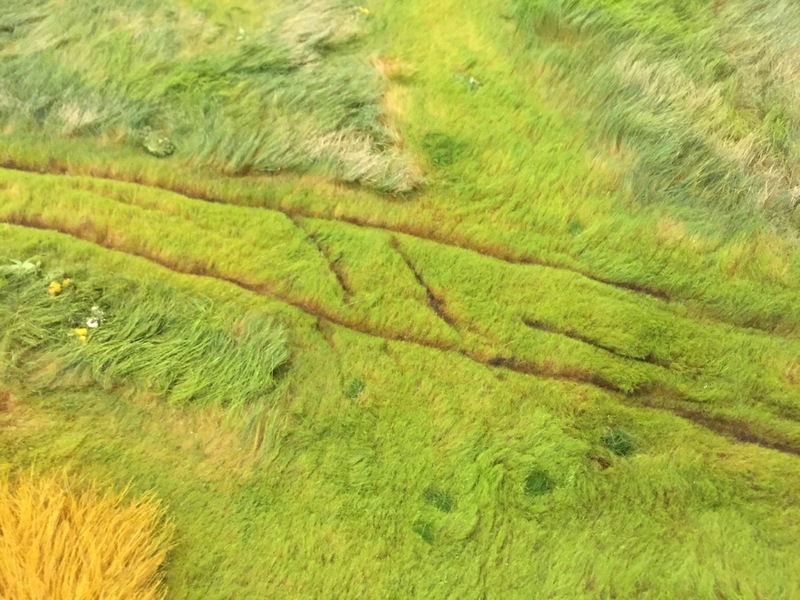 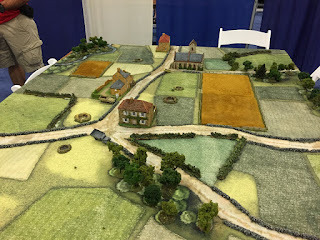 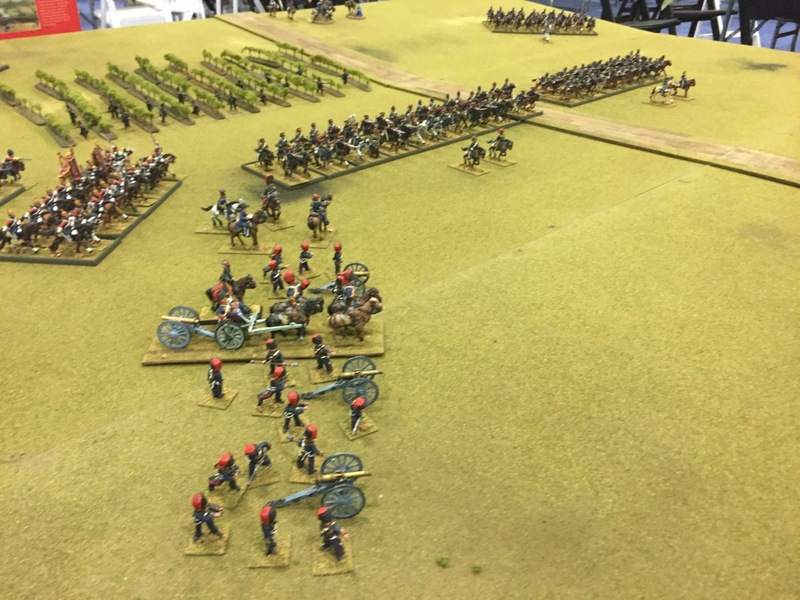 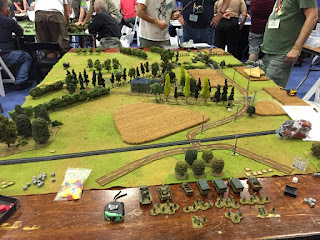 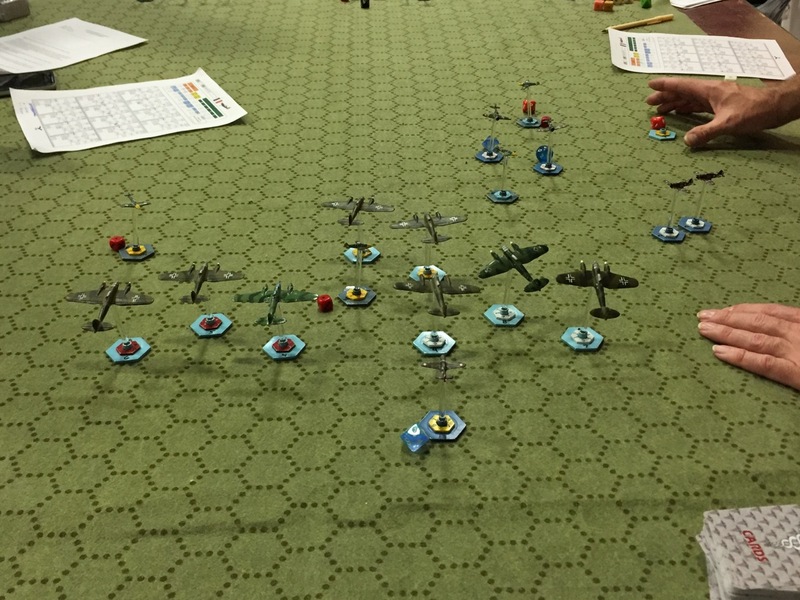 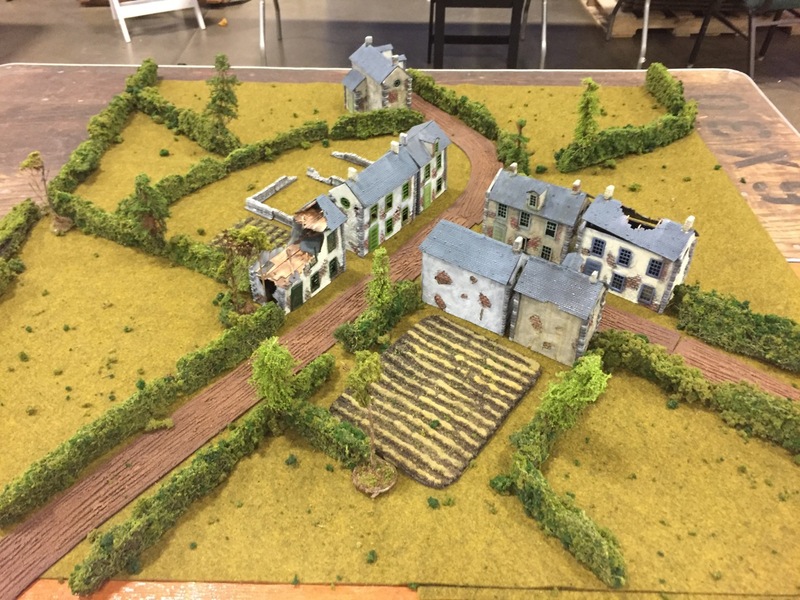 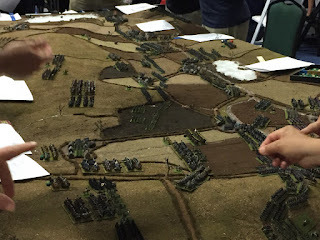 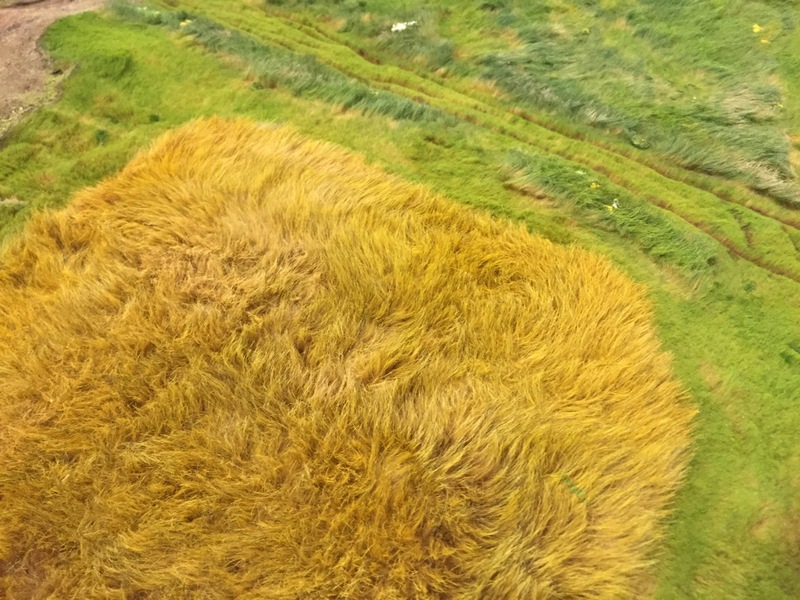 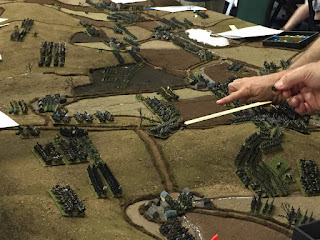 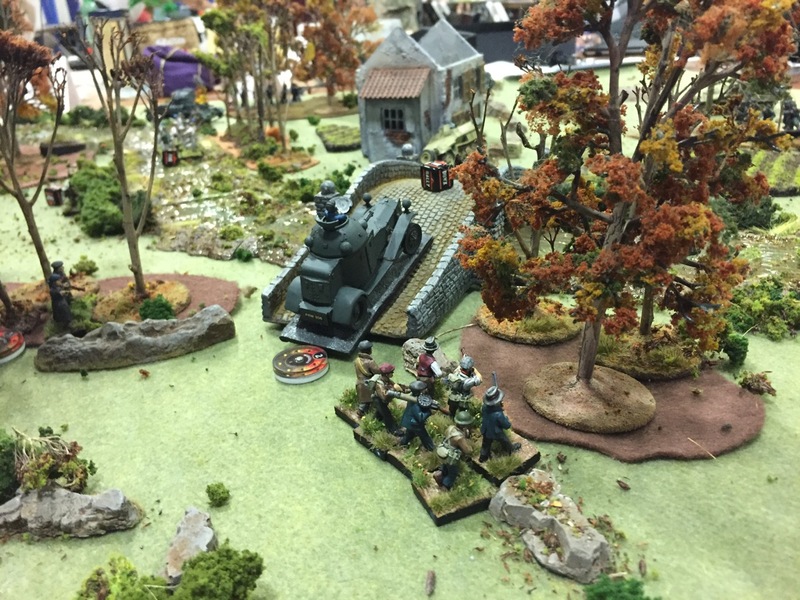 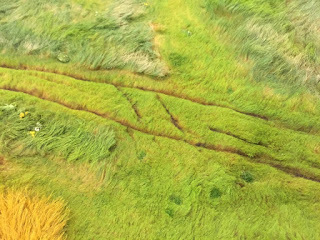 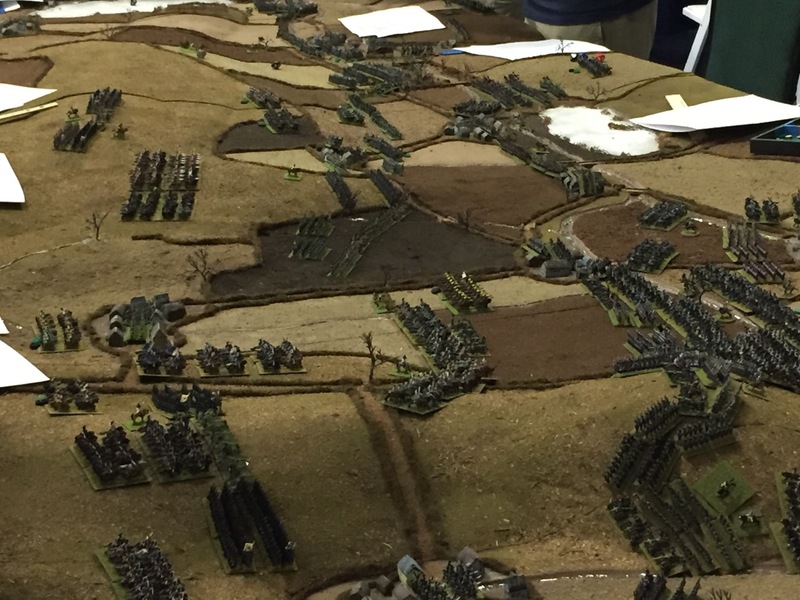 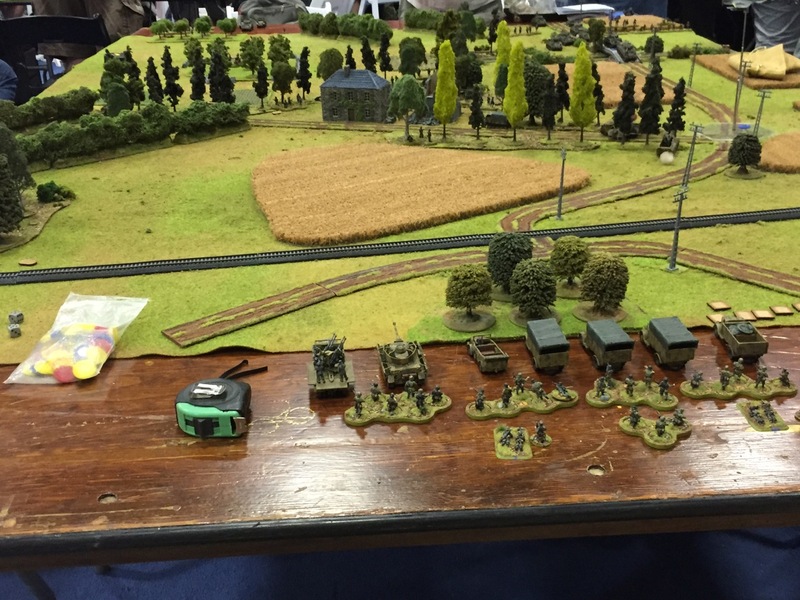 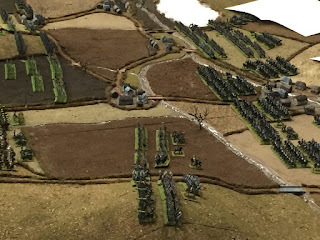 I do like the way battles look in 6mm, but the 20mm game on that huge glorious normandy table looked spectacular!